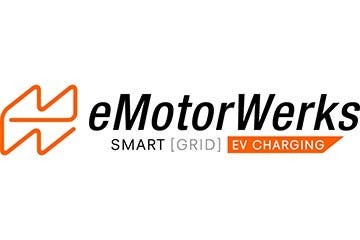 EV charging supplier eMotorWerks has announced that it has increased sales year over year by 100% for the third year in a row. We spoke with eMotorWerks Chief Operating Officer and Chief Marketing Officer Preston Roper about what is fueling its growth and what the company has planned for the next few years. The big news out of eMotorWerks is related to the products the company has built — and I’m not talking about electric vehicle chargers. eMotorWerks has built a software platform that taps into the massive potential of electric vehicle charging to serve as a “flexible, dynamic load” for utility operators to use to balance the production and consumption of grid power. The hardware is important but, ultimately, the platform that eMotorWerks has built is more important and impactful. That is the company’s core expertise. The concept is similar to the idea of a “virtual power plant” that combines users with small to medium loads, users with storage capability, and users with large energy demands — like a massive number of electric vehicles charging at the same time — which predictably consume copious amounts of power at night. eMotorWerks’ intelligent platform taps into the connectivity of its Juicebox chargers to determine charging needs and customer preferences, as and then to throttle charging up and down to maximize the benefits to the grid. 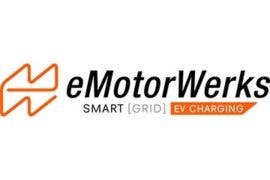 The integrated smart charger that eMotorWerks has built and the cloud-based software platform that supports it is the first to truly leverage EV chargers as smart devices — something that eMotorWerks has been building since day 1. Preston shared that the nature of home EV charging and the intelligent network eMotorWerks has built allows the team to throttle charging down to very specific geographies or regions depending on the need of the utility. As more and more smart meters are brought onto the grid, this granular control becomes that much more valuable to utilities as they continue to adapt to more renewables, more storage, and more EVs on the grid. Customers are rewarded for their flexibility through the JuicePoints system, which aims to reduce the emissions generated by electric vehicle charging by throttling charging down when grid demand spikes (which causes peaker plants to come online). Conversely, charging is throttled up when grid power is low and cleanest. Users can select how long the vehicle will charge and how full they need it to be, which provides the system with a window of opportunity over which it can then automagically throttle charging up and down to minimize the impact to the grid, maximize the charge over the time horizon, and reward EV drivers with JuicePoints. Drivers are rewarded with direct cash payouts through PayPal or they can opt to direct their credits towards an environmental nonprofit like the Sierra Club. The Sierra Club is similarly putting a massive effort towards eliminating coal-fired electricity generation via its Beyond Coal campaign, so you can have twice the impact on cutting grid emissions by using smart charging and directing the money to the Sierra Club. The JuicePoints system is currently only available in select zip codes. The addition of intelligence to the EV charging equation naturally brings up the question — what about vehicle to grid? The reality is pretty bleak even though it seems to makes sense. The risks with vehicle to grid (V2G) schemes can be high with a customer, potentially feeding power back to the grid during an outage, exposing workers to energized lines (which creates a dangerous situation), and degrading their EV batteries. Beyond that, there isn’t strong demand from customers for V2G-capable vehicles. Car companies are not interested in this, so they are not developing for this. Required hardware is much more expensive to do this. Getting interconnection agreements from utilities for V2G is difficult and an extra hurdle. The eMotorWerks JuiceBox EV charging station is the highest rated EV charger on Amazon, which is a testament to the innovation it packs. The smart charger has brought intelligence to an appliance most drivers had just assumed was dumb. It has proven to add value to the charging experience. As noted at the top, the preference of customers is showing in its sales as well, with eMotorWerks doubling revenues year over year in 2016 for the third consecutive year in a row. It has locked in agreements with suppliers across the spectrum, including EVSE provider AeroVironment, OEM supplier Webasto, and the cashless payment provider Nayax. These partnerships leverage the strength of the JuiceNet cloud software the team has built and expands the positive environmental impact the system can have through its integration with utilities. For extra clarity since we clearly like the product and company above: This article has not been sponsored in any way. If we publish a sponsored article, it is labeled as such in multiple places.